Bored by the traditional wedding guest books on the market? Why not try something original and unique? 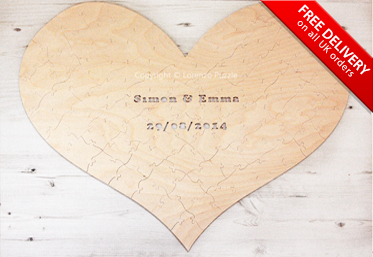 Our heart guest book puzzle provides a whimsical reminder of what your big day is about, and your guests will actually be excited to sign their names to this unique expression of your love. Frame the puzzle to display it for years to come, or take it apart and put it together again and again! Not getting married? 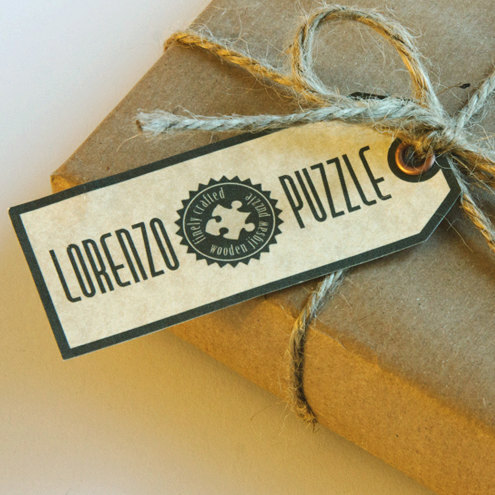 Our puzzles are also the perfect gift or tribute for all sorts of special occasions, including anniversaries, family reunions, birthdays, and more. Show special people how much you love them with this custom personalized puzzle. 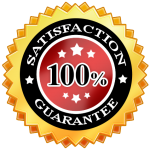 Each puzzle is hand-cut, sanded, and polished to the highest quality. Then, inside the puzzle, we’ll carve the name(s) and the date of the event.